Oh, hi. Remember me? Let’s see, now where was I? How about a quick ‘nutshells’ post – in which I share a handful of short, sharp shots of info (and songs? tour dates? random thoughts?) that have hit me recently. The frequency? Probably random, though I’m hopeful for weekly at a minimum. New year, new energy, new ambition, etc. Also, I need to prepare for the day that someone (hopefully) burns farcebook to the ground. Scorch those servers, begin anew. End pre-ramble. Commence content. New and/or notable shows from the right-column Boston-area list: Guided By Voices are back! 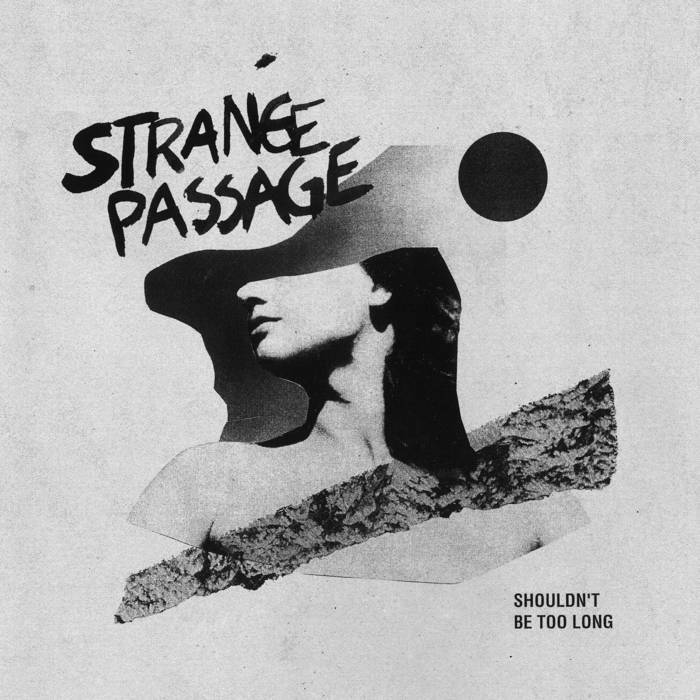 Their show at the Sinclair last October was glorious, and they’ll return to their regular stomping ground (kicking stage?) at the Paradise on Friday night, May 17th. No link to tickets yet, but they’re on sale this Friday, so set yourself a reminder (yes, the new album totally rules). Newly added: The weekend before GBV, Graham Parker hits City Winery Boston. Tickets for his May 11th stop go on sale to the general public next week. Japanese Breakfast returns to the area for a show at the Royale on April 6th (tix on sale this Friday, sold out shortly after). Oh, and you got your tickets to see the Beths with Bad Bad Hats at Brighton Music Hall in February, right? I am so into that Beths record, can’t wait. This coming weekend has a couple stand-out, artist-packed benefit shows that couldn’t be more different, yet both deserve sold-out status: Friday night’s “NOT ANOTHER WASTED NIGHT: A benefit for Chris Doherty of Gang Green” at the Paradise and Saturday’s “ONE NIGHT BAND” benefit for Zumix. 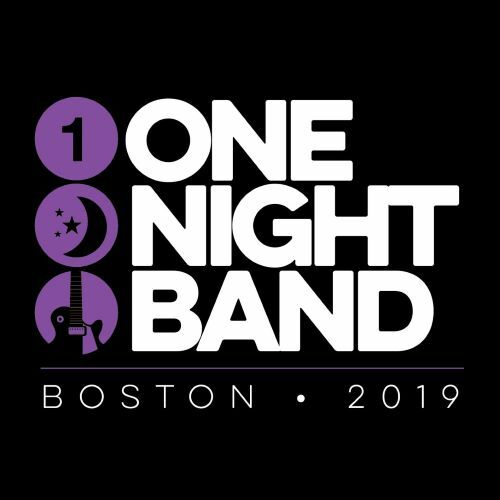 One Night Band brings together 40 area artists on Saturday morning, divvies them up into eight new 5-member pop-up combos for a day of rehearsal, and throws them on stage for their debut that night. It’s a frenetic, joy-filled blast (and a hell of a lot of work behind the scenes) and all for an exceptional cause: Fostering a love of music-making in kids. Read more about it at the Herald, and grab tix here. 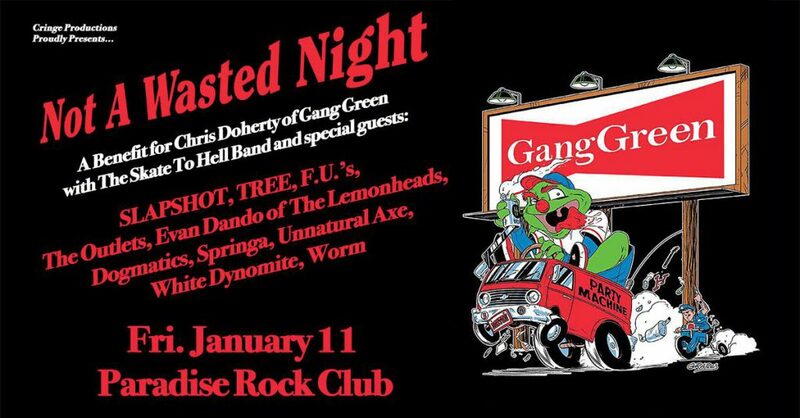 Friday’s “Not Another Wasted Night” unites a ridiculous lineup of area punk rock luminaries to help Gang Green’s Chris Doherty with expenses related to a stroke he suffered recently. 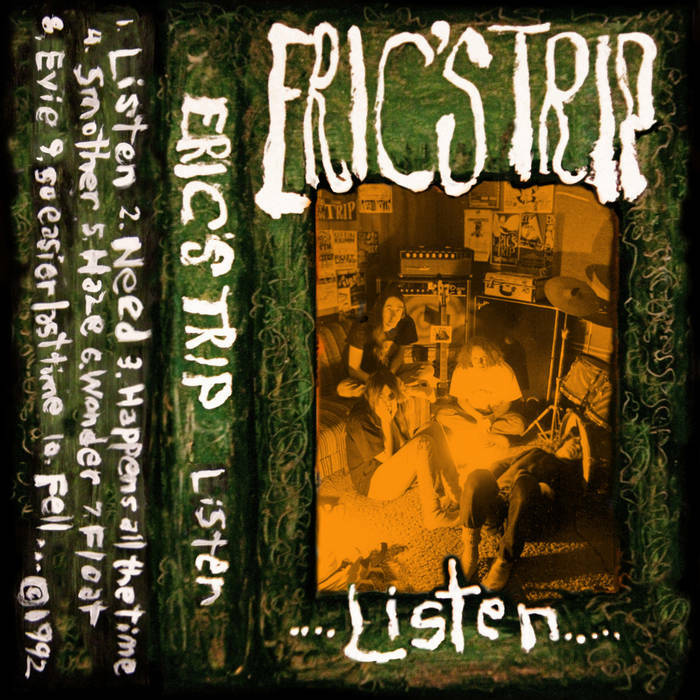 We’re talkin’ Slapshot, Tree, the FUs, the Outlets, Lemonheads’ Evan Dando, Dogmatics, Springa, Unnatural Axe, White Dynamite, & Worm. Get your earplugs ready and snag tickets here. Mineral‘s recorded return comes in the form of two new tracks, the second of which was unveiled a few days back. “Your Body Is The World” follows the previously-shared “Aurora“, both of which can be found on “One Day When We Are Young: Mineral at 25″ , a commemorative release that includes the two-song 10-inch along with a hardcover book of “never before seen photos, an in depth band history, and contributions from members of members of Jimmy Eat World, Get Up Kids, and more.” It officially came out on Friday, so grab your copy (or just the digital tracks) through Bandcamp. The band heads out on a month-long 25th anniversary tour this week, and will hit Allston’s Brighton Music Hall with Tancred on Sunday, January 20th. Tickets here. I did it! I wrote an actual Almanac post. That’s no small feat, and if you’re an living, breathing human being sitting there reading this, well, that’s even more of a personal shock. I honestly am intending to make this more of a regular thing – self-discipline has been hard to come by lately, and having to learn the new wordpress interface sure hasn’t helped any. While 2018 was an unusually quiet year on the actual ‘Nac, my FB page and Twitter feed kept chugging along, and the shows list on the right was kept current(ish), so it’s not like I completely abandoned the ship. Just put her in dry dock for awhile. But she’s back in the water, and the wind is picking up. Now back to working on the ‘faves of 2018’ post. If my goal is to get it up sooner than last year’s, well, I think I’ll be just fine.